Although a sieve may come from the factory with assurances of compliance, how long after use, is it still considered calibrated? been reduced and operational macros have virtually eliminated operator training. exact parameter required to pass sieve apertures. because some damage is presumed to occur during the calibration test. 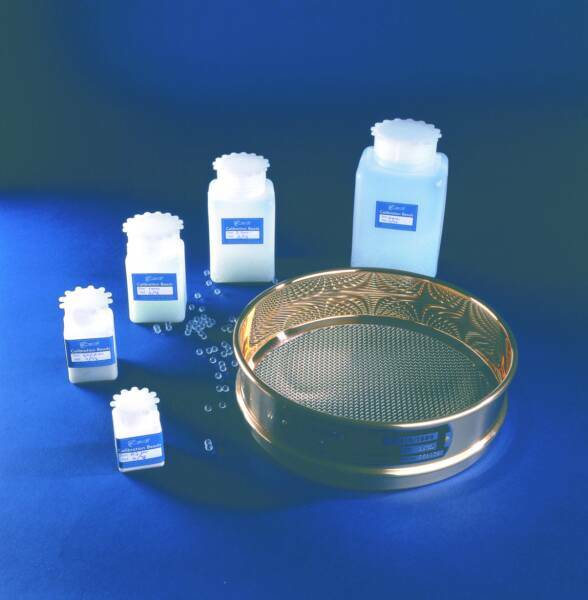 Sieve Re-Certification Service Complete Inspection Report Included. "Without an active sieve re-certification program in place, you're simply guessing." The chart on the right gives some basic guidelines for sieve calibration, but there are a few factors to take in to consideration. Depending on the type of sieve shaker used, the samples characteristics, ie... sand, powder etc...and sieve construction, the frequency would be different. to compare results to a working stack of sieves, using a representative sample. This can be a very cost effective method of calibrating working sieves. Sample degradation can be a concern.